Low sneaker-style shoes that protect your feet are a great choice for all sorts of work places. Those who work at restaurants, in post offices, and on maintenance crews know that regular athletic sneakers usually don't cut it. If you need safety toe shoes that pr ... (see full details) (see specifications) #RBKRB186. Low sneaker-style shoes that protect your feet are a great choice for all sorts of work places. Those who work at restaurants, in post offices, and on maintenance crews know that regular athletic sneakers usually don't cut it. If you need safety toe shoes that protect and support, choose this pair of Reebok Women's Black RB186 Jorie EH Non Metallic Composite Toe Shoes. The black leather uppers used for these jogger oxford shoes provide durability and breathability. They are also resistant to oils, water and abrasion, so they have a long life. And since they are also uniform appropriate, you'll get your boss off your back. And speaking of your back, these safety toe shoes help it feel better. They reduce fatigue with removable EVA cushion inserts and sponge rubber heel wedges. A EVA cushion midsole also absorbs shock and provides cushioning. Don't focus on wearing cute footwear to work, ensure your feet, legs and back are comfortable by wearing Reebok shoes that support you exactly where you need it most. These slip-resistant shoes have lining that is made of Tailex. Tailex is designed to reduce chafing, and it allow moisture to move away from your feet, keeping them dry and healthy. Long hours of standing or walking can take a toll, but these give you the help you need. Composite toes are required in many work places, because the help shield your feet from impact from above. Composite toes are lightweight and non-conductive. So, unlike steel toes, they won't transfer electricity or heat. A special feature of these safety toe tennis shoes is that they're 100% non-metallic, so they won't set off security alarms. These non metallic shoes are also rated for electrical hazards. This makes them the perfect choice if you work around live circuits, wires or highly charged electrical equipment. Don't take a chance when you work around electrical hazards, wear electrical hazard shoes to keep yourself protected at all times. The SureGrip Plus rubber soles offer all types of advantages. 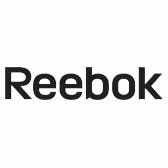 They're the best Reebok offers when it comes to resisting abrasions, chemicals, slipping and oil. That means the soles of these Reebok composite toe shoes won't degrade due to the substances you come into contact with on a daily basis. Wear them on rough concrete or slick kitchen surfaces with confidence. Prevent slipping and the injuries it can cause. Support your legs and back and prevent expensive chiropractic bills. Don't take chances with your feet. In today's tough economy, you can't afford not to wear the right shoes for the job. You can't afford not to wear a pair of Reebok Black RB186 Jorie EH Non Metallic Composite Toe Women's Shoes. Reebok Shoes: Women's Black RB186 Jorie EH Non Metallic Composite Toe Shoes is being added to your cart.